Our upcoming journey to Switzerland will be our first Europe trip since our first international trip together in 2009 in which buying a rail pass makes sense relative to purchasing individual tickets. In our last train-intensive trip to Europe (Portugal/Spain 2012), we actually determined that planning ahead and buying tickets directly from the operator lead to greater savings than a rail pass. This same rule applies to our planned travel in Germany and Austria during this trip, however the comprehensive benefits of the Swiss Rail Pass make it the clear choice for funding our transit within Switzerland. The Swiss Pass is different from the passes offered by Eurail that are the standard in most countries. 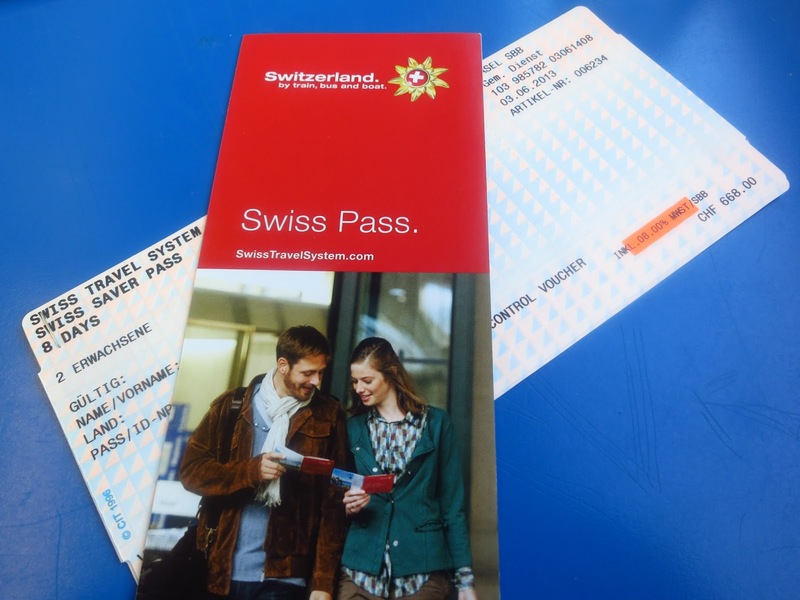 Although Eurail offers regional or global passes that include Switzerland, the Swiss Pass, with its associated benefits, is only available from Swiss Travel System. Also unlike the Eurail passes, the Swiss Pass offers free fare on local transit options, free admission to many of Switzerland’s best museums and attractions (link to master list), and free rides on many of the mountain cablecars and railroads. Our first analysis, without considering these benefits, indicated individual tickets would actually be very comparable to a pass at around 305 CHF for our total train travel cost in Switzerland (cost of a 3-day flexi pass, 20 CHF shipping, and one ticket not included on the pass vs. 5 individual rail tickets and Mt. Rigi Majestic Round Trip). With this list, we value the Swiss Pass at 437.90 CHF, giving us 73 CHF relative to the individual cost. Not spectacular savings, but combined with the convenience of avoiding ticket lines, it is a clear choice for us. We really like how Swiss Travel Systems has put together a product that integrates sightseeing priorities, train travel, and local transit. For others, its important to do an analysis to understand the value of a pass, and perhaps more importantly, whether a flexi pass or regular pass works best for their situation. It is possible a multi-country Eurail pass makes more sense, if the sightseeing priorities don’t provide enough savings, and there are also other passes available that give you half price on train travel that may be worth consideration. This entry was posted in Tips & Tricks, Transportation, Travel, Travel Planning and tagged strategy, Switzerland, Switzerland/Austria/Germany 2014 Trip, trains, transportation, travel, travel planning by Ryan. Bookmark the permalink.